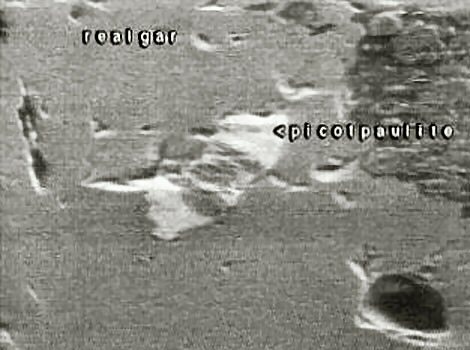 Comments: SEM image of a polished secton of picotpaulite inclusions in realgar, most likely associated with lorandite as well. Location: Allchar (Alsar), Roszdan, Republic of Macedonia. Scale: Picture Size 300 µm.